When the six-man final table at the WPT Legends Main Event began play yesterday, all eyes were on Phil Hellmuth and JC Tran. 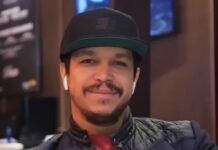 Both veteran pros were searching for notable titles on their extensive, decades-spanning resumes – Tran his 3rd World Poker Tour title and Hellmuth his first. They’re both still looking for them as local high-stakes cash-game pro Art Papazyan stymied them both to claim his first major tournament crown and by far the biggest score of his career. Defeating Hellmuth heads-up to finish it off Papazyan claimed a payday of $668,692, a $15,000 seat for the WPT Tournament of Champions and a Hublot Big Bang Steel watch. Prior to his win last night Papazyan’s previous best tournament score was for just $16k. Coming into the day 2nd and 3rd in chips, it all came down to Papazyan and Hellmuth heads-up when chip leader JC Tran eventually busted in third to Hellmuth. That evened the chip counts more or less for the heads-up and opened the door to Hellmuth seizing his first WPT title. But Papazyan won an early pot with two pair and continued to build his momentum. After a flopped wheel gave him a 10.8m chip pot Papazyan was in the driver’s seat with a 17m-5m lead and finished things off shortly after when his KQ outran Hellmuth’s AK. Despite the disappointment Hellmuth certainly made a splash in his first WPT event since signing a deal to become the new host of The Raw Deal segment on WPT broadcasts. He also still collected $364,370 to add to his impressive career earnings. Tran took home $217,040. German Marvin Rettenmaier, a back-to-back WPT winner who was also gunning for his third career WPT title, finished fifth. D.J. 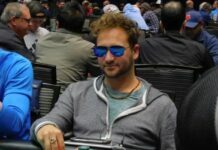 Alexander and Adam Swan rounded out the final table. Read the full recap of the tournament over in the WPT Live Updates and look for the final-table replay on the PokerGo app. The next major stop for the World Poker Tour is the WPT Borgata Poker Open in Atlantic City with a $3m guaranteed prize pool for the $3,500 Championship event September 17-22. Check WPT.com for all the details.